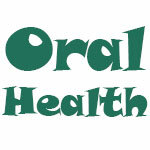 Oral Health : Health Tip: What Causes a Cold Sore? (HealthDay News) -- A cold sore is a painful sore that often forms on the lips or around the mouth. While a cold sore is caused by the herpes virus, many factors can act as triggers. Feeling run down, stressed or tired. Having the flu, a fever or a cold. Being exposed to the sun. Having hormonal changes as a result of pregnancy or menstruation. Having an injury or trauma to the face from a cut, dental work, shaving or surgery.